For people who like to stay environmentally friendly in all aspects of their life, moving can be a real headache. Between all of the waste generated by packing materials like packing paper and cardboard boxes and discarded items, moving is not generally seen as an environmentally sound activity. But it doesn't have to be that way. There are many things you can do to keep your move environmentally sound and to go about your packing and moving in a green way. From utilizing recycled packing materials to cutting down on your fuel costs during the move, there are plenty of ways for you to make your move a green one. 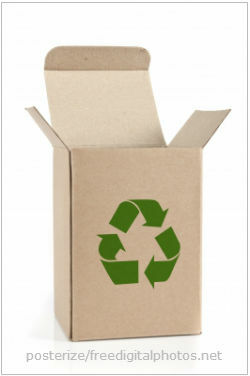 If the thought of using cardboard moving boxes gives you a headache and you don't want to have to deal with the waste that comes with it, there are now green packing supply companies that specialize in providing customers with moving boxes that are completely reusable and made from 100% recycled materials. These green moving boxes are typically either reusable plastic crates or environmentally sound packing containers that are made out of recycled materials that can be rented or bought and used as an alternative to cardboard boxes. They are a great way to cut down on your moving waste and transform your move into a green move. Another way to keep your move green is to cut down on your fuel consumption during the move. This may be easier for some people than for others, depending on what kind of move you are making and how far you are moving. For example, if you are moving a long distance and are transporting your cars as well, hiring an auto mover to take your cars for you rather than driving each one individually is a great way to cut down on fuel consumption. If you are going to be driving your car to your new home, you can do a few things to limit your fuel use in transit. If, during your packing, you come across items in your home that you don't need anymore and that you've decided will not make the move with you to your new home, you can hold a garage sale instead of throwing out these things and creating more waste. Holding a garage sale or yard sale is not only the green way to go about getting rid of these unwanted and unneeded items, but it is a great way to raise some extra money for your move that can come in handy down the road. Plus, you never know, your trash might just be someone else's treasure and by selling your unwanted items you might be providing your neighbours with things that may be useful to them. These green moving tips are just a few of the ways that you can stay environmentally sound before, during, and after your move and avoid producing unnecessary waste that can potentially be harmful to the environment.